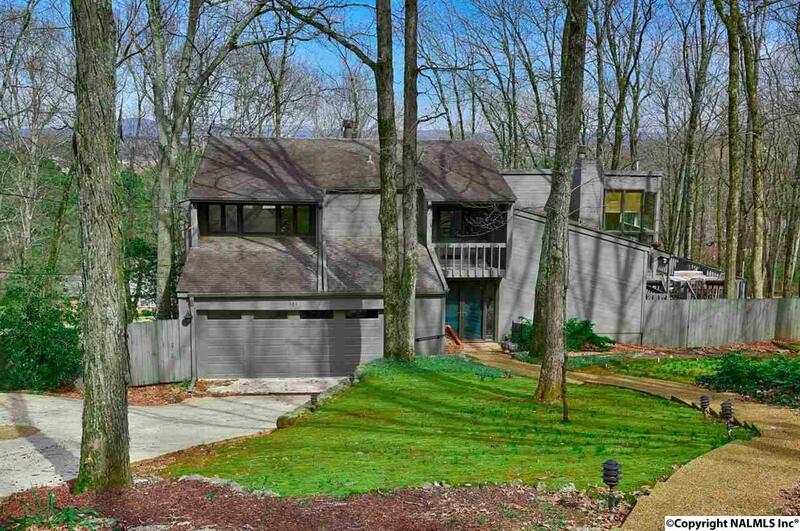 Nestled among the trees will feel like your in mountains on 2.5 wooded acres but just 1 MILE from Hwy 72 in Madison! This unique home features a stunning atrium with a full sized indoor waterfall, 6 balconies, fireplaces, extensive hardwoods with marble, slate, walnut and cedar finishes. Rec room has full wet bar with ice maker, fridge, and microwave. Home features a gorgeous sun room with Pella windows. Full finished basement with walk out French doors. 13 rooms with much versatility- easy to transform basement or den into an extra bedroom. Massive decks overlook the woods. House fronts 2 roads. Private retreat just minutes from all amenities. Rare find in Madison City!